You can add some extra color with cilantro or green onion!! You can’t be afraid to try new things. Well, you can be, but you shouldn’t be. I just spent an hour gluing on fake fingernails. Why? Because I have not done it for 15 years and last night I thought “I don’t like my real fingernails, why not give fakes a shot again?” Is it perfect? No. Did I have fun? Yep. My friend Liz started going to a local project called Market on the Move, where $10 gets you up to 60 pounds of produce. She brought some for me, and I immediately resolved to try going myself. Something new to try! 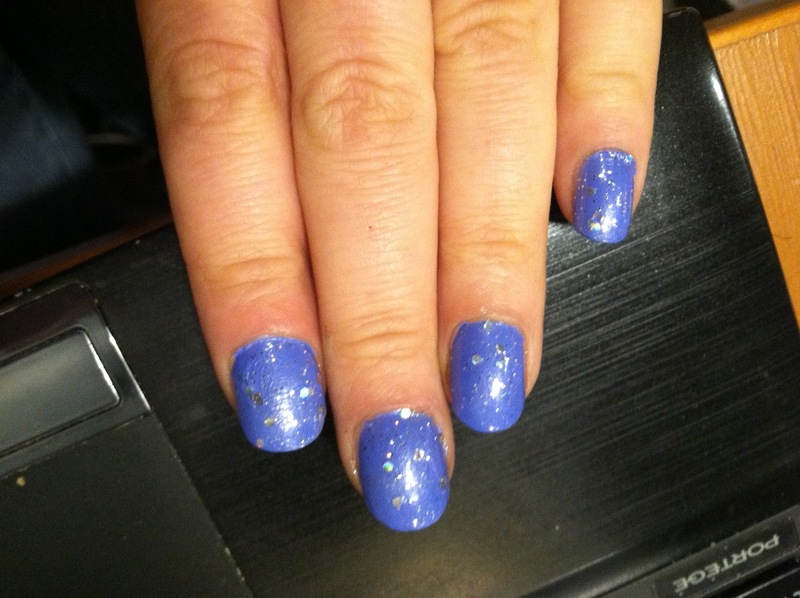 Rocking blue sparkle fake nails!! Sorting through the produce, I noticed that some of it needed to be used sooner than later. There were beautiful bell peppers with just a few bad spots, easily cut off, and VERY ripe romas. They were perfect at the moment but in two days they will be in roma tomato heaven. I wanted to make something tasty and beautiful to honor the gift. Gathering a few things from the kitchen, I got to work. The result was the chili you see below. It was very delicious and rather mild. The best thing about this chili is that it is delicious, low calorie but hearty, and would freeze very well!! Interested in making your own frozen dinners? This is a great one for you. So get out there and try new things? Try that hike you’ve been meaning to do, or even that bright eye shadow that has been scaring you. 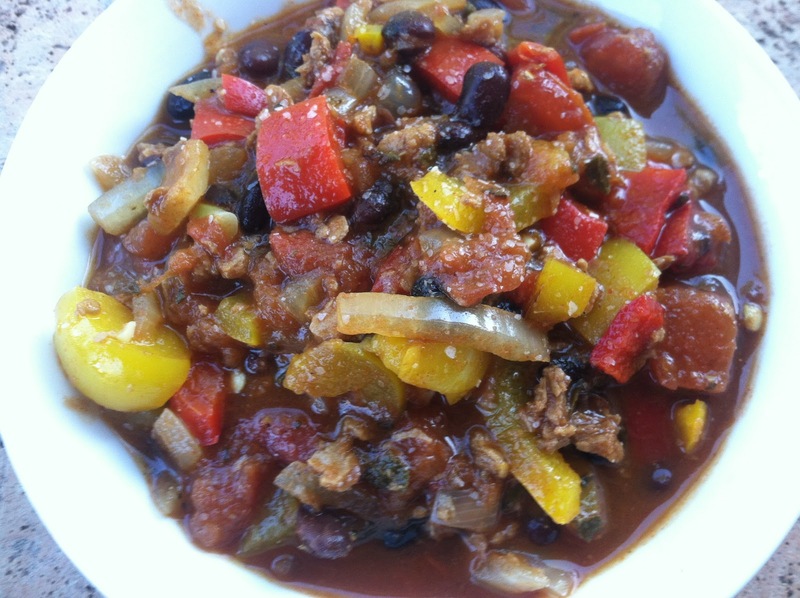 If Liz hadn’t tried Market on the Move for the first time, we would not have this chili. So try making this chili for the first time because it is amazing! Remove the seed packets from the bell peppers and dice the rest. Place all in a heavy pot, such as a cast iron enamel pot. Heat over medium for 10-15 minutes, until the tomatoes are tender and the onion is translucent. Add the garlic, beans, soy chorizo, cumin, Mexican oregano and salt. Cook for 10-15 more minutes, until the veggies have reached your desired level of tenderness.